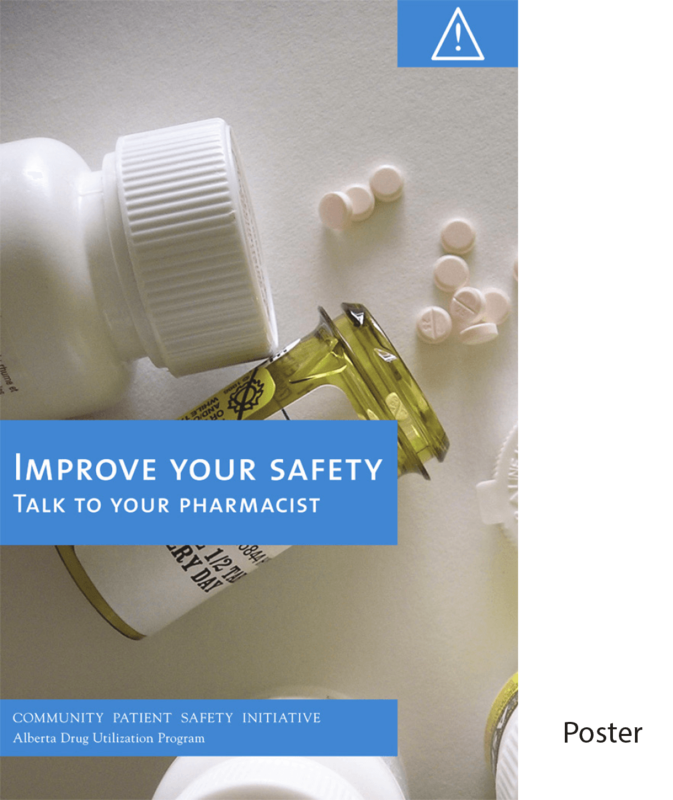 The Alberta Drug Utilization Program needed to foster dialogue between pharmacists and patients. 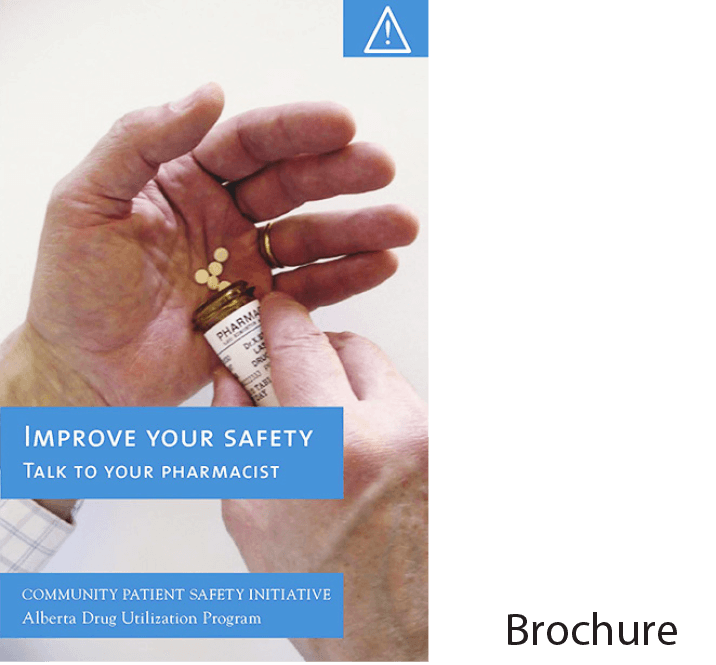 A brochure and a poster were designed to encourage patients to talk to their pharmacists, and inform patients how to manage their medications safely. The texts were designed considering an aging population with frequent problems of visual acuity. 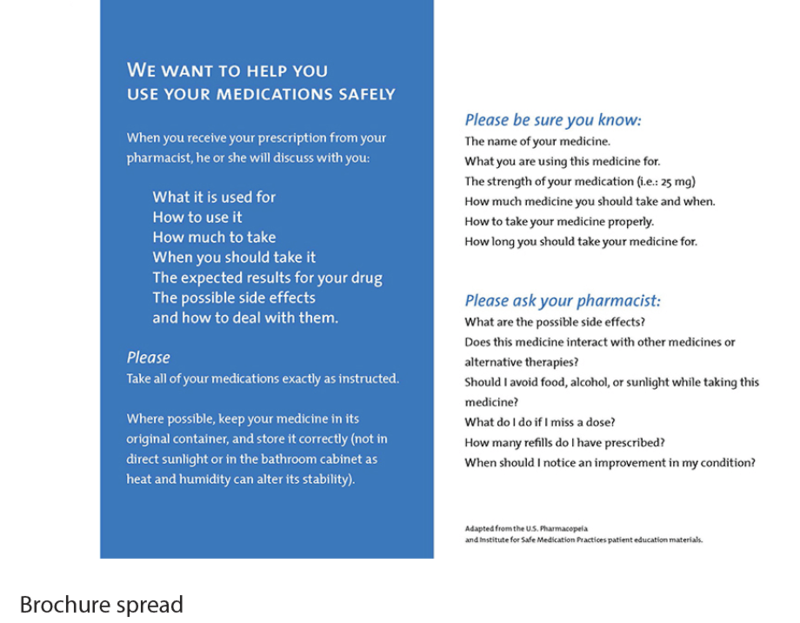 Content clarity and legibility were two central issues addressed by the design solution.